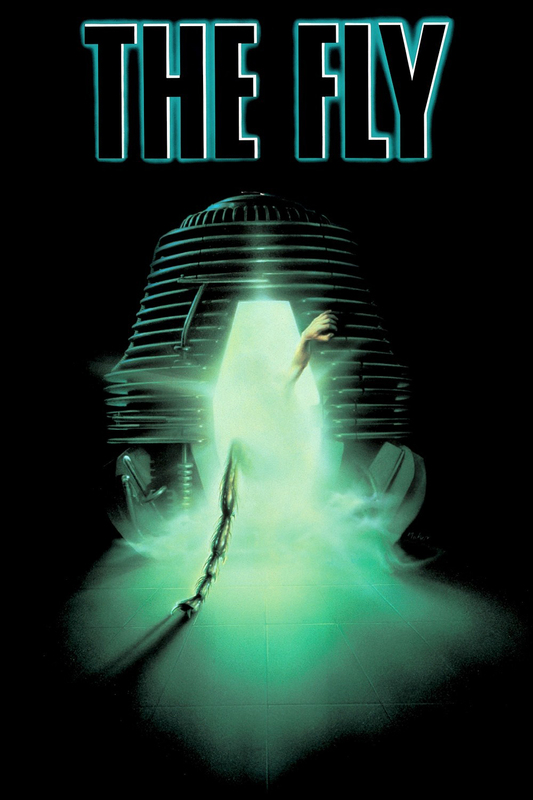 It is surprising to me, and I think all who know me, that I had never seen David Cronenberg’s remake of The Fly (1986) until a few days ago. High up on my list of cinematic priorities is Geena Davis, with Jeff Goldblum narrowly trailing. I’m a huge fan of Cronenberg’s Videodrome from three years earlier. So why did it take me so long to catch (ha!) The Fly? The short answer is, I was afraid. Afraid to shut the door on the limited selection of Davis/Goldblum collaborations (I’ve already seen Earth Girls Are Easy and does it get any better?). Afraid to be disappointed by what I have only ever assumed is the paradigm of awesomeness. Afraid that I had missed my moment; that the special effects would be dated and the acting melodramatic. Afraid, frankly, of flies. And, well, isn’t my face red now. I don’t want to say it’s perfect because it isn’t. The sense of timing is often off. Geena Davis’ character can sometimes feel written by a man, which, of course, she is. Additionally, I don’t believe a scientist working for six years on a secret project would majorly BLOW IT because his girlfriend was ending things with her ex-boyfriend. But none of this matters because The Fly is everything a horror movie should be. I’m a big horror movie buff. New, old, whatever. One characteristic of the new, I find, is an impenetrable lack of humanity. Frequently, villains become almost inhuman as they are reduced to their most basic evilness. However, even in his monstrous state, Goldblum’s Seth Brundle is filled, even obstructed, by his humanity. Consequently, the film doesn’t follow a “natural” horror film trajectory. There’s no loud bangs or things jumping out unexpectedly. Rather, the audience is left with the sad, discomfort of someone trying to advance humanity and getting caught in its spokes. 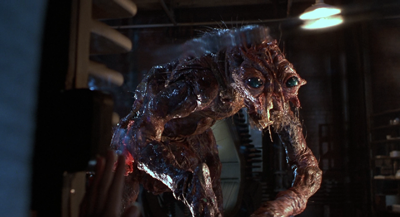 The so-called “Brundle-Fly” is slowly dealt with, Cronenberg making it more painful to deal with the visibility of the monster, as opposed to the standard invisibility of other horror creatures. It’s funny, gross, and will break your heart. Although Veronica (Geena Davis) and Seth’s relationship progresses at an alarming rate, watching her visit an increasingly deformed lover is gut-wrenching and unexpected. It’s just one of those movies that convinces you that real horror has nothing to do with convincing visual effects, ties to the world we know, or cheap thrills. It is singular, it only answers to itself, and it is wonderful.